Do yourself a favor and buy this net vs the more expensive brands. 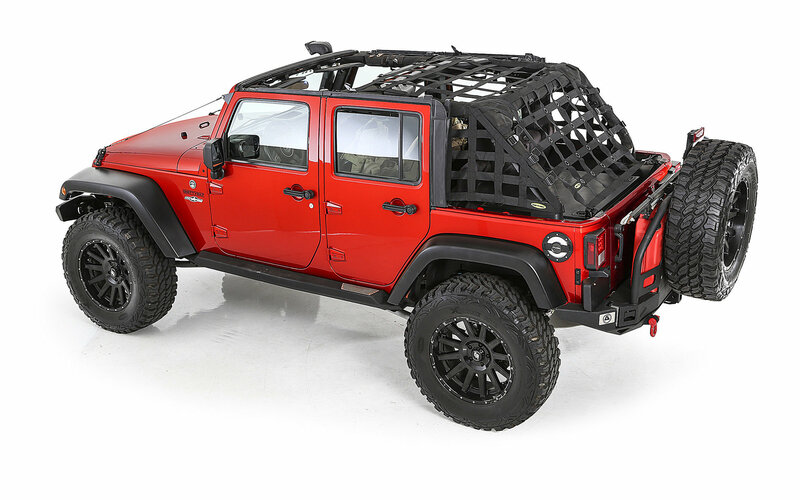 I did not do a direct comparison of them, but the quality of this Smittybilt is top notch. Definitely feels like a premium product for the price. Best part is being able to easily unclip the cargo area if you need access to the cab for chair, groceries, etc. Just toss the instructions and wing it. Overall pretty self explanatory once you toss it on and tighten the straps. The only hiccup is tightening the side panels. Tricky getting the strap tight behind the rear doors without extra set of hands. It may ride up the back of the frame if you don't use the footman loop, but I did not install those and just manually push it down on the rare occasion it comes up a little. The rest of the net is pretty tight and we have no flapping or road noise at highway speeds. 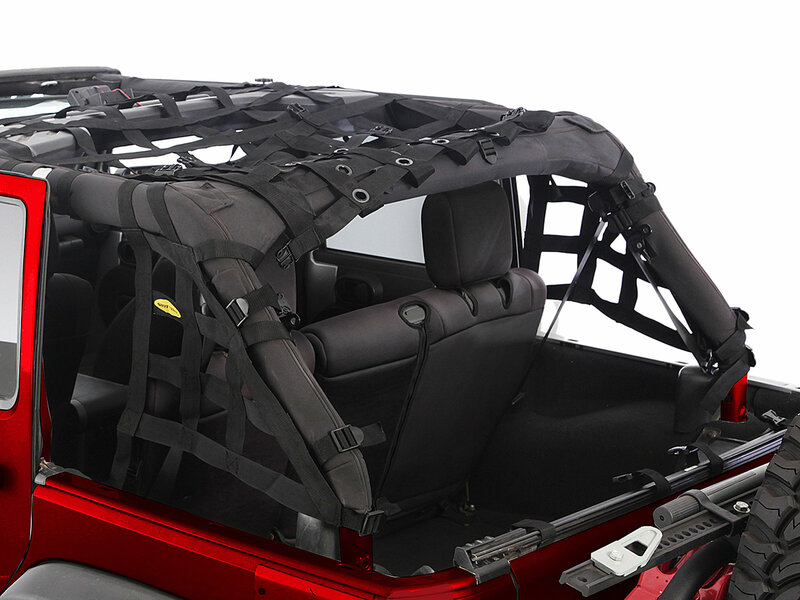 Hardtop goes on and off easy without having to take off the net. One of the best Jeep accessories we've bought! Looks awesome!! Very strong netting. Only downside was the installation instructions, kind of confusing so I just winged it and figured it out.